Calling Nerds from ALL over the world (and other dimensions and universes)! 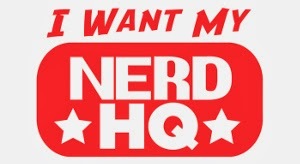 It's Time We UNITE for Nerd HQ and ensure its survival! 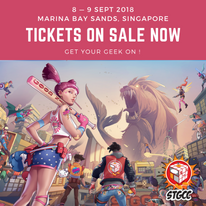 This year, The Nerd Machine - the fine people who organize Nerd HQ - seeks support from fans to contribute just USD 5 each via an Indiegogo crowdfunding project, so that they can secure venues and production teams prior to the event date. For those who are not aware, The Nerd Machine consists of actor Zachary Levi ("Chuck"/ "Tangled"/ "Thor" The Dark World") and his good friends David Coleman and Courtney Coleman. 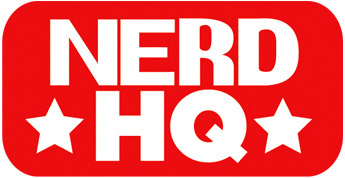 Since 2011 (the unfortunate year Red Dot Diva was unable to make it to San Diego), Nerd HQ has operated as an off-site event during San Diego Comic-Con. Having Nerd HQ continue to operate this year means a great deal to Red Dot Diva as well as to many fellow geeks and nerds out there. Why is this so? SDCC 2014: Countdown To Pre-Registration Day On 8 February! After a long long looooonnnnnnnnnng wait, pre-registration for this year's biggest and craziest geek event, San Diego Comic-Con (SDCC), will kick off at 9 AM Pacific Time on Saturday, 8 February. That's just a few hours away! For the last few years, pre-registration (i.e. the time when people who had attended the previous year's SDCC try to get their passes online) have always been held before November. This year, the online process has been scheduled unusually late - only 5 months ahead of the convention dates of 23 to 27 July. Earlier this year, Red Dot Diva was at "The Walking Dead" press breakfast on Day 2 of Comic-Con 2013. To-date, that wonderful morning is one of her most memorable press moments ever. If you've only stumbled on this blog article now, you can catch up on how the press event began in Part 1 of the recap right here. For those who have yet to catch-up with "The Walking Dead" Season 4's intense and heart-breaking mid-season finale, Red Dot Diva sends you slimy sympathetic zombie hugs! And don't worry, everything mentioned in this article is S4 spoiler-free! Rumour has it that there was an X-Files 20th Year Reunion on the afternoon of Day 1 of Comic-Con at a venue called Ballroom 20. Red Dot Diva cannot reveal details about the so-called event at this moment. There was also talk that a couple hundred people or so camped out at the entrance of the San Diego Convention Center the night before for this particular reunion. Several photos of these people turned up on Twitter. Some were shown snoozing in sleeping bags, and others were chatting the night away while sitting on mats or foldable chairs on the pavement. 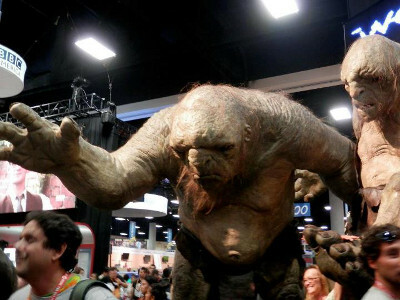 SDCC 2013 Recap: Preview Night - Lawn Con, Screenings And A Very Packed Show Floor! Like last year, Red Dot Diva's hotel room was host to a mini United Nations. There were roomies coming from East Coast USA, Canada, New Zealand and the Red Dot Island. And this year's home base was the very swanky, very nice Hilton Bayfront Hotel. Except for Jasmine, who arrived late Thursday night, all the roomies and good pal Chelle were in San Diego by Tuesday afternoon, 1 day before Preview Night. That left three roomies + Chelle with access to Preview Night, and they decided to kick off the day with a hearty breakfast at the Broken Yolk. The cozy restaurant would soon become the roomies' favourite breakfast stop that week. 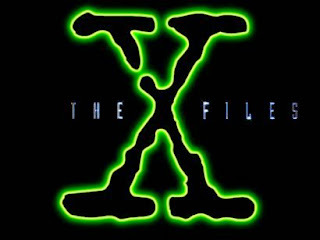 SDCC 2013: An X-Files Reunion?? Deny Everything! Comic-Con 2013 took an unexpectedly darker turn as conspiracies abound recently about an X-Files 20th Anniversary Reunion to be hosted by a publication company called TV Guide. There was a wave of murmurings about the special event, with several witnesses claiming that an announcement about it, had been printed and issued by TV Guide. Later, "confirmations" were cited by several watchdog websites, bloggers and journalists, including leaked details about the momentous occasion, which will probably overtake last year's "Firefly" Reunion. It all sounds unbelievably epic for it to be true. SDCC 2013: Grab A Pineapple and Get "Psych"-ed at Comic-Con! 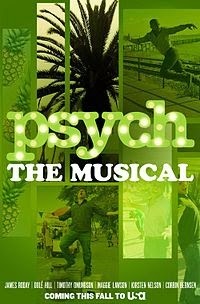 USA Network's detective drama series "Psych" is set to go into a song and dance at San Diego during Comic-Con week! Not only is "Psych" returning to Comic-Con for the fifth time this year, the show will be hosting an exclusive midnight screening for "Psych: The Musical" for its fans. One does not need to have a Comic-Con badge to watch the screening, and the event is free of charge! The 2-hour musical's screening will be held at the Reading Theatre in the Gaslamp District on 16 July, Wednesday. SDCC 2013: WB Returns With Exciting Sneak Screenings On Preview Night! 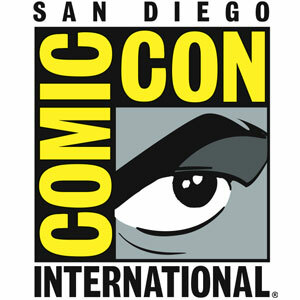 WB TV returns to Comic-Con 2013 to host Preview Night on Wednesday, 16 July, with a lineup of four new TV series. No real big surprise here, since WB TV has been hosting Preview Night on an annual basis. But it doesn't mean that the announcement was any less anticipated!! The Preview Night sneak screenings is Red Dot Diva's most favourit-est of all Comic-Con activities. All snuggly and seated usually up front and in the dark of Ballroom 20, she loves the feeling of being one of those pampered few who get to catch the first look of pilot episodes. This year, WB TV brings a jumble of stories about androids, super-powered beings, and vampires for fans to enjoy. 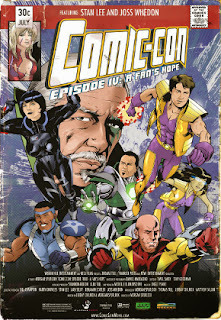 Are You Ready To Nerd Out At Nerd HQ 2013? And finally the first stream of Nerd HQ news we have been impatiently waiting for, is here! The folks at Nerd Machine have announced that this year's Nerd HQ will return during Comic-Con week, and will be held at Petco Park! 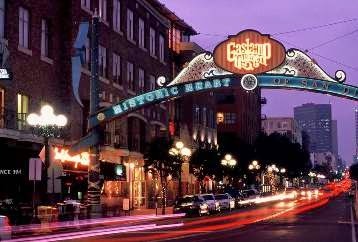 The ballpark - home of the San Diego Padres - is situated diagonally opposite the San Diego Convention Centre (near the tram station) and just a few blocks away from Hilton San Diego Bayfront. By the way, zombies would be at Petco Park too for the Walking Dead Escape on Jul 19 and 20. So Beware of the undead!! Red Dot Diva was almost unable to make it to the panel because she was busy covering another event at an exhibitor's booth. However, she managed to say farewells quickly and gracefully, just in time to make a Olympics-worthy sprint from the basement to Room 6BCF, with barely 4 minutes to spare! Was she even able to get into the room at all? 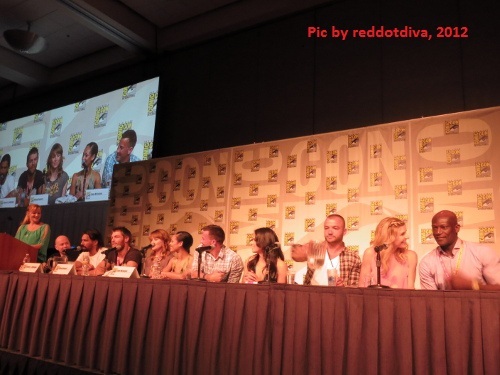 It was the last "Spartacus" panel for the fans and the series is admired by so many. When she arrived at the venue, there wasn't a line at all, and the volunteers were not stopping anyone from entering yet. Phew! But inside, the room was nearly filled with spots of empty seats here and there. Red Dot Diva knew she would not be able to sit up front but she managed to snag a seat in the middle of the room, where she had a good wide-angle view of both the projection screen and the guests on stage. It was a warm, lively and memorable panel with lots of laughter. The cast members were absolutely having fun being there, teasing the fans in general, and having a go at it with each other. Red Dot Diva's good friend Chelle was in the "Falling Skies" panel earlier, and was lucky enough to score a seat at 6th row centre of the room, enjoying a darn good droolicious view of all those hunky biceps. So, Red Dot Diva will leave it to Chelle to give a recount of that wonderful hour.